What are the benefits of serverless computing? What exactly is Knative and what features are still in development? In our interview with Evan Anderson, Senior Staff Software Engineer at Google, he gives an introduction to the new shiny serverless tooling based on Kubernetes. He also talks about the benefits and the downsides of serverless computing and why it is such a big topic at the moment. We bring together the world’s leading software architects and cloud experts to share their ideas and knowledge. We are warmly inviting you to join us and the Serverless community! Join the Serverless Architecture Community! 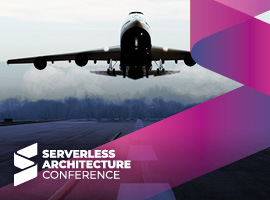 Stay tuned for all Serverless Architecture Conference News!